Felt like making a cute black girl with freckles so here she is! I'm white and I worry about stereotyping or not doing it right, so If you're black and have any kind of issue or criticism with the design please don't be afraid to let me know and tell me how I can do better. 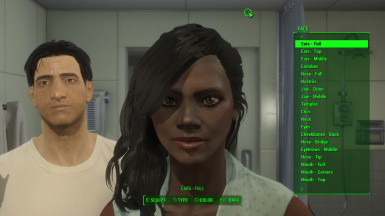 I used the first black female preset as a base and used British scientist and tv personality Maggie Aderin-Pocock as reference. 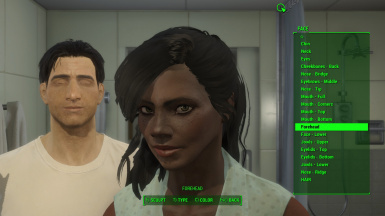 There's not really many black presets out there so I hope people will enjoy her. 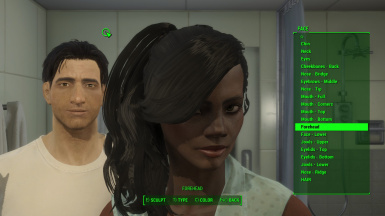 NGL I have no idea which mod the hair is from. 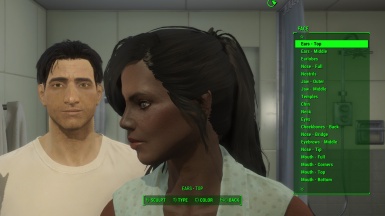 All the female hair mods I have are listed in the required files, there's not many so it shouldn't be any trouble, but sorry anyway.